ClorDiSys' chlorine dioxide gas technology allows for a complete decontamination of your facility, with minimal equipment and minimal downtime. Gaseous systems provide the ability to achieve a complete distribution and thorough penetration to each and every surface within your facility, including visible and invisible cracks and crevices. Chlorine dioxide is safe on materials and leaves no post treatment residuals. View a sample of some of our projects below and Request a Decontamination Service Quote if you have a project you'd like to explore. 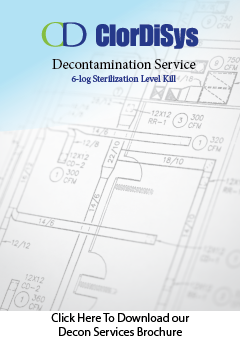 Routine basis for contamination control. Chlorine dioxide gas can also be used in contamination response to eliminate any contamination present and quickly return rooms and equipment back to a safe, working order. By using a gas, all cracks and crevices from floor to ceiling are contacted and decontaminated, ensuring a completely sterile work environment. 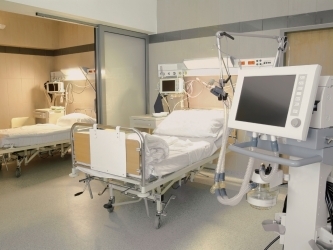 Patient rooms can be decontaminated using chlorine dioxide gas on a routine basis for contamination control. This can range anywhere from between every patient, to weekly, monthly, quarterly or yearly. Chlorine dioxide gas can also be used in contamination response to eliminate any contamination present and quickly return rooms and equipment back to a safe environment. By using a gas, all cracks and crevices from floor to ceiling are contacted and decontaminated, ensuring a completely sterile area. 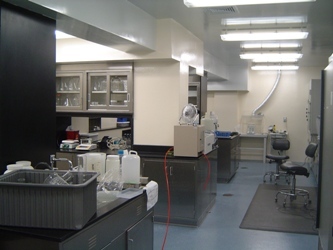 Laboratories can be decontaminated using chlorine dioxide gas on a routine basis for contamination control. Chlorine dioxide gas can also be used in contamination response to eliminate any contamination present and quickly return rooms and equipment back to a safe, working order. 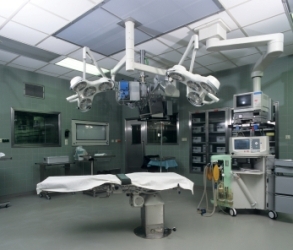 By using a gas, all cracks and crevices from floor to ceiling are contacted and decontaminated, ensuring a completely sterile work environment. 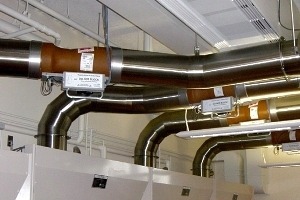 Ductwork and HVAC systems, including HEPA housings, can be decontaminated using chlorine dioxide gas. In fact, chlorine dioxide gas is the only residue free fumigation method that can successfully decontaminate HVAC ductwork as it does not condense out along the path length. Chlorine dioxide gas decontamination of isolators is quick, residue free, and cycle development free. 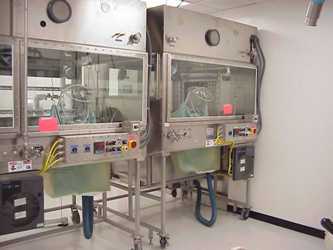 Isolators can be decontaminated in under an hour whether they are empty or full of components.